Izzy Goodkind has confirmed she is single and not dating her former Bachelor in Paradise co-star Vinny Ventiera. 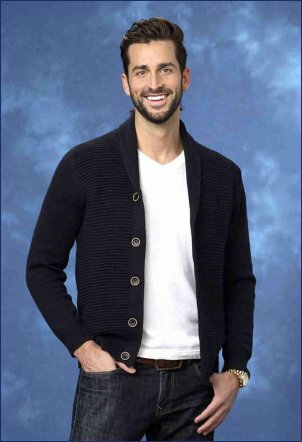 Bachelor in Paradise featured the exits of Lauren Himle, Shushanna Mkrtychyan, Tiara Soleim, Brett Melnick, Izzy Goodkind, Jami Letain, Ashley Iaconetti and Wells Adams during Monday night's ABC broadcast. Bachelor in Paradise's third season is ending, and viewers can anticipate multiple engagements! Bachelor in Paradise welcomed Shushanna Mkrtychyan and Lauren Himle to the cast and Caila Quinn and Jared Haibon decided to leave during Tuesday night's broadcast on ABC. Bachelor in Paradise welcomed Wells Adams and Jami Letain into the mix, eliminated three bachelors and watched the twins Emily Ferguson and Haley Ferguson quit during Monday night's broadcast on ABC. Vinny Ventiera and Izzy Goodkind pack on PDA after 'Bachelor in Paradise' split -- Are they back together? Vinny Ventiera and Izzy Goodkind, who nearly fell in love on Bachelor in Paradise but shockingly split, are acting like they are a couple again! 'Bachelor in Paradise' spoilers -- Who gets engaged? Who splits? Which couple quits the show? Bachelor in Paradise might have to borrow Big Brother's slogan, "Expect the unexpected." Vinny Ventiera vents on 'After Paradise' Izzy Goodkind "played herself," she regrets dumping him "100 percent"
Vinny Ventiera is standing his ground post-split from Izzy Goodkind, but she's regretful of how it went down on Bachelor in Paradise and all but confirmed she'd be open to dating him again. Bachelor in Paradise featured Vinny Ventiera and Izzy Goodkind breaking up as well as more drama from the Ashley Iaconetti, Caila Quinn and Jared Haibon love triangle during Tuesday night's ABC broadcast. Caila Quinn admits she did tell Ashley Iaconetti she wouldn't appear on Bachelor in Paradise but then she changed her mind -- which probably shouldn't come as a shock to viewers after watching last night's episode.